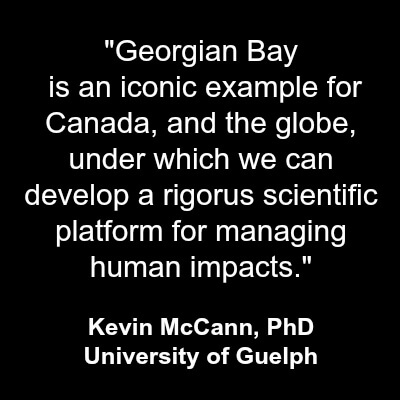 Georgian Bay is an iconic example for Canada, and the globe, under which we can develop a rigorous scientific platform for understanding and managing human impacts. Over the past 4 years, Georgian Bay Forever has been working to create a library of all organisms (the biodiversity) in the waters of Georgian Bay. Once an ecosystem is catalogued we can monitor the impact of ecosystem changes on diversity and even document hotspots in biodiversity that need protection as possible candidates for aquatic habitat reserves. The huge number of species interacting in an ecosystem has made it tricky to understand or predict the impacts of human stressors on a system or area. 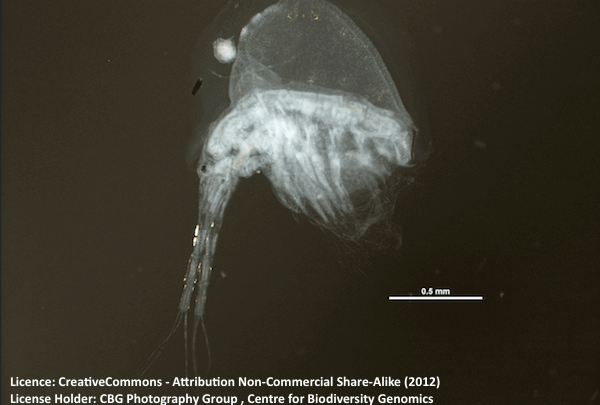 DNA barcoding is a tool that can help us understand these complex aquatic ecosystem webs. DNA barcoding can both identify organisms and also aid in uncovering full food webs. Biodiversity. What is it? Why should you care? How to understand DNA barcoding in the bigger picture? What are the benefits of biodiversity using DNA Barcoding for Georgian Bay? What has been found so far? And how does DNA barcoding work specifically? Georgian Bay Forever likes to find novel opportunities in science, and help demonstrate the effectiveness of their protocol. GBF's support for DNA Barcoding started in 2012 and is an example of adopting and testing a scientific methodology and technology that will will benefit so many in the future. 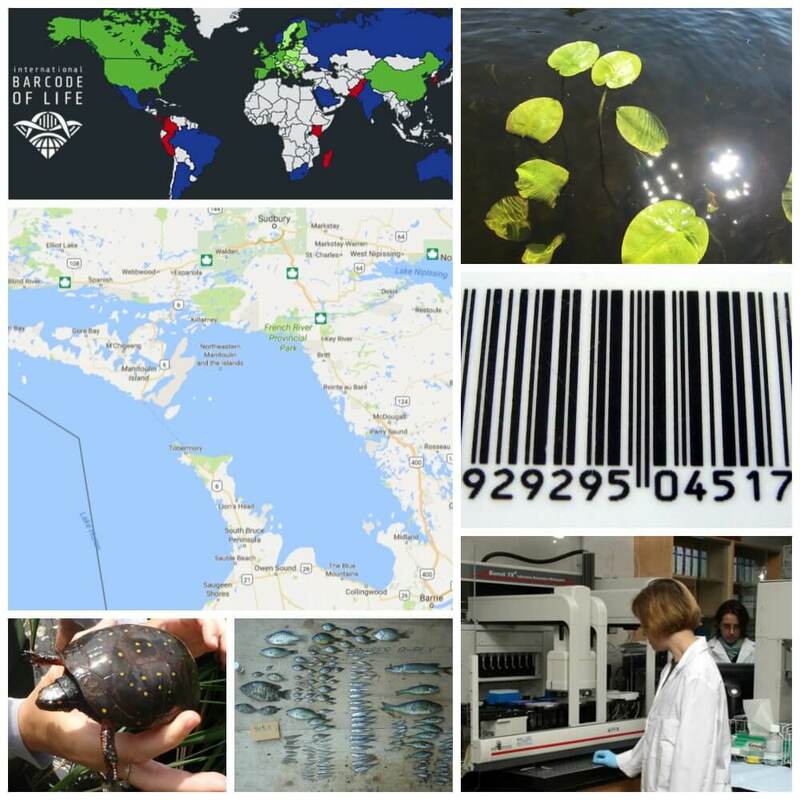 Since 2012, GBF has been working with Dr. Kevin McCann and his team from the University of Guelph to create a DNA barcode catalogue for the Georgian Bay Archipelago food web. This is allowing us to improve our ability to monitor the biodiversity of the ecosystem, and aiding in mapping the food web. It is this latter application of DNA barcoding that researchers like Dr. McCann can then use with other inputs to produce ecosystem models that will predict ecosystem responses to major environmental stressors or management actions (e.g., Phoslock, climate change, development, invasive species, or future aquatic preserves). Our ongoing work in Georgian Bay and the Great Lakes aims to combine numerous biotracers (stable isotopes, fatty acids, etc) and DNA techniques together to monitor and inform the development of biodiversity policy both in Canada and globally. What is biodiversity? Why you need to care. Biodiversity is the variety on Earth of living organisms (different genes and species and ecosystems). Biodiversity has a direct impact on your health and enjoyment of life. Medicine. Several breakthroughs in medicine were as a result of studying biology and genetics. When species go extinct, the variety of materials - the possibilities are reduced. Food. Provides an assortment of foods (different crops for instance) due to many kinds of pollinators, array of plants, different soils and more. Ecological services and water resources protection. As an example, variety helps the ecological services of wetlands including water cleaning and helping to soak up and break up chemical pollutants. Another example is plant multiplicity which helps contribute to oxygen production needed for breathing. Nutrient recycling and storage is also an important service that biodiversity helps. Adaptability, recovery, aiding stability. Biodiversity aids in the ability to absorb impacts from events like fires and floods. It helps prevent diseases and allows for living things to more easily adapt to changes to the environment. Enjoying beauty. The biodiversity of life is a feast for the eyes and senses! Ontario, Canada, the US, the United Nations, and jurisdictions and organizations all over the world are concerned with biodiversity. One output of this concern is expressed through the Canadian and United States agreement, the Great Lakes Water Quality Agreement. 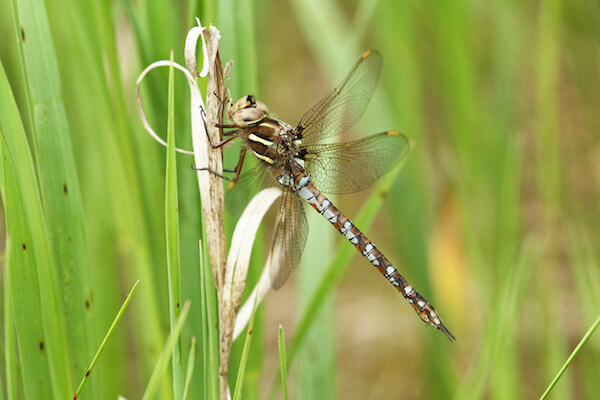 In Ontario, another output includes the Ontario Biodiversity Council which helps advance the principles of the United Nations Convention on Biological Diversity and the Canadian Biodiversity Strategy. Unless we understand and have a record of our biodiversity, it is impossible to understand what the impacts are on it. This is why it is so important that we build a library of the aquatic biodiversity in Georgian Bay. Georgian Bay Forever works with community groups all over Georgian Bay to help eradicate invasive Phragmites which threaten the biodiversity of Georgian Bay wetlands. Learn more and join us. The DNA Barcoding technique is being used in the United States to help bring integrity and transparency to seafood labelling. " 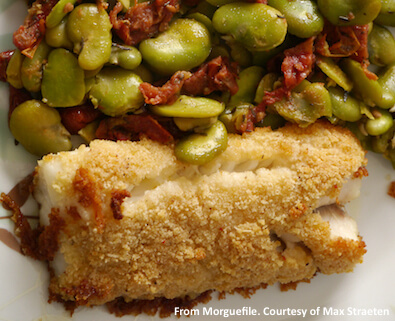 Substituted and/or mislabeled seafood is considered to be misbranded by the U.S. FDA and is a violation of Federal law” (FDA LIB 4420). Please read about the protocol being incorporated. Globe and Mail, Ann Hui: Food fraud: How do we fight a problem we don’t yet understand? DNA Barcoding is a species identification process to help ecosystem preservation. How to understand it in the larger picture? Science has created various systems to identify the living organisms around us. The first formal system, Linnaean classification and binomial nomenclature, was created around 1753 to help humans understand the living organisms around them. DNA barcoding, is a modern identification system designed to help humans preserve the ecosystem and its biodiversity at a time of constant and serious threat by human impacts. "DNA Barcoding combines taxonomy, genetics and computer science into a process that obtains expert species identification. Genetic markers identify unknown samples like Human Criminal Forensic DNA Fingerprinting." The International Barcode of Life (iBOL) ambitiously aims to build a DNA based reference library of all multi-cellular life. Within it's first just completed phase, it aimed to barcode 5 million specimens, that represent over 500,000 species. Why is this important? Scientific models can be built using the iBOL database that can aid in ecosystem monitoring, conservation, forensics, the impact of invasives and so much more. Examples include the possibility to measure the impact that humans have on the ecosystems, and the potential impacts through proposed development. If invasives are identified, the origin of the invasive can be discovered thanks to multi-national participation. Why is this important for Georgian Bay? While Georgian Bay Forever is supporting iBOL to help with the bigger picture of ecosystem health with specimen collection and identification from Georgian Bay, our main purpose for participation is to have a library of multi-cell aquatic organisms to help with protection of Georgian Bay ecosystems in the future. Learn more by reading on. The Linnaean classification system, specified in Carl Linnaeus' Systema Naturae (1735) divided living things through a process of narrowing categorization. This methodology evolved into the classification system that is used today, and noted below. 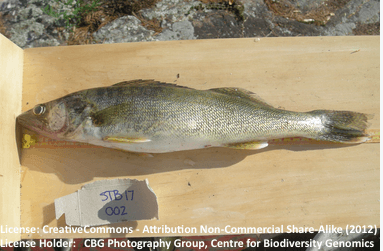 What are the benefits of understanding biodiversity using DNA Barcoding for Georgian Bay? 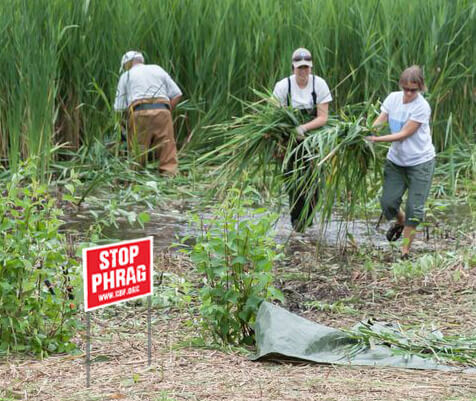 The elimination of invasive Phragmites is one example that helps protect the biodiversity of wetlands, but it is very difficult to protect ‘biodiversity’ when we don’t know or have a record of what comprises our ecosystems. How can we measure the impacts of humans (whether through invasive species, pollution, development etc. ), if we don’t understand what’s there. 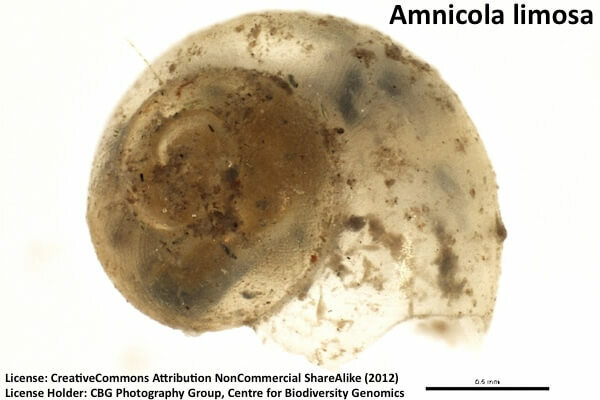 GBF has been working for the past 4 years with Dr. Kevin McCann of the University of Guelph, and the Canadian Centre for DNA Barcoding to catalogue all the aquatic organisms in Georgian Bay. Once these have been catalogued, we have the ability to aid conservation management, ecosystem monitoring, forensics, and invasives for Georgian Bay. Monitor the impact of changes on diversity and document hotspots in biodiversity that need protection. If we find areas of high quality diversity that are exceptional candidates for protection we will be able to prove it scientifically; or if development pressure arise in an area, we will have the means to support mitigation strategies to avoid adverse impacts. 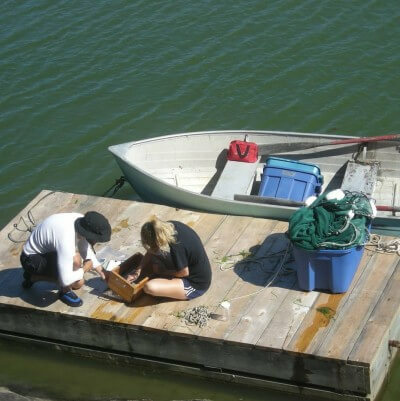 Uncover food webs, which can aid in management decisions such as understanding the impact of increasing cage aquaculture (net-pen aquaculture) in Lake Huron/Georgian Bay to native fish populations. This is something GBF is beginning to look at. By understanding the contents of the feed of the fish through biotracers (stable isotopes, DNA,etc, fatty acids), it can be determined for instance if aquaculture operations are changing the food web in some areas. Through research we are able to see the nutrients from the aquaculture operation entering the food web through one specific pathway in the food web rather than a diffuse entry throughout the entire food web. This new understanding will be shared with appropriate government oversight agencies. Please go here for more information. Determine relative abundance of organisms in an area. Once all the species have been identified, the quantity of each species in an area can be identified through simplified sample testing in the environment. This will be far more efficient and less expensive than hiring multiple specialists in biology to go into each region and identify the specific organisms in which they have expertise. This will be important to help understand how populations of species are impacted by different stressors in the ecosystem. Using science to help inform better and more responsible management decisions. 90% of Canadians believe that water management decisions should be better informed by science according to the 2016 RBC Canadian Water Attitudes Study (GBF is a proud partner of the RBC Blue Water Project). A DNA barcoding based library will provide great help in the future in terms of developing models that will scientifically show the impact to biodiversity of things like development on shorelines, the impact of not managing invasive species, and the effects of pollution. We have identified that DNA barcoding is a species identification system that will help create a library of the aquatic biodiversity in Georgian Bay. This library will help stakeholders with stewardship of the ecosystem in the future as scientists will be able to monitor impacts and create models that will inform managers about ecosystem risks from anthropogenic or human sources. 399 specimens have been collected for the Georgian Bay Forever project (Sept 2017) to date. There is so much more of The Bay to go. Of those collected to date, 236 have been identified to the species level, with all but 41 having some taxonomy level of identification. The samples have been collected from Big Sound, Shawanaga Bay, Sturgeon Bay, and some from Wiarton and Owen Sound. The biggest proportions of the specimens fall in these classes. Read about some of the specific species in the next segment named "Meet the species barcoded in Georgian Bay." How are the species determined from specimens? The specimens that are collected have a tiny tissue extracted. According to iBOL, this tissue is used to isolate a part of the DNA. In 2003, Paul Herbert's research group at the University of Guelph, found that a short section of DNA from a standardized region of the genome could be used for identifying species - comparable to a barcode on a product that you purchase. Most animal groups use a 648 base-pair region in the mitochondrial cytochrome c oxidase 1 gene ("CO1"). This small part is the information used to make the barcode. The bonus to this identification method opposed to others (like isoptope analysis) is that it is fast and cheap and able to determine variations in species. Once the barcode region of the DNA is isolated, it is reproduced and sequenced. What does DNA sequencing mean? There are the four bases or subunits (nucleotides) of DNA including adenine, guanine, cytosine, and thymine. DNA sequencing is the process of determining the precise order of these nucleotides within a DNA molecule. In DNA barcoding each of these units is assigned a letter A G C T, and the order is extracted. iBol provides this example for the Arctic Warbler. This code is translated into this image. If the species already exists in the database, the specimen will be identified immediately. If the specimen does not exist in the database, scientists will determine its classification for future like specimens that are submitted. In this way, we are building an entire catalogue of the aquatic organisms of Georgian Bay! 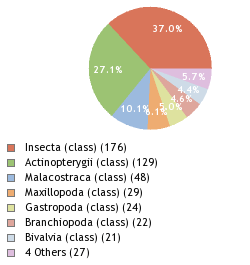 Insecta - 37.0%, class of insects invertebrates, Actinopterygii - 27.1%, class of bony fishes , Malacostraca - 10.1%, largest of 6 classes of crustaceans, segmented organisms with 20 body segments (sometimes 21), Maxillopoda - 6.1%, crustaceans, no single character common to all, mostly small. Eg. Barnacles, Gastropoda - 5.0%, snails and slugs from micro to large, Branchiopoda - 4.6%, crustaceans, mostly small freshwater creatures that eat plankton and detritus, and Bivalvia, 4.4%, molluscs whose bodies and protected by a shell of 2 hinged parts. They have no head or radula (which is like a tongue). Others make up 5.7%. For more species, please visit here. We can do so much with a library of the biodiversity of the species in Georgian Bay to measure human impacts on the ecosystem and to help build future models that will scientifically help managers protect ecosystems. Building this library is the first step, and we are currently only at the beginning of doing this. Current status - we have samples from Big Sound, Shawanaga Bay, and Sturgeon Bay and they also some specimens from Wiarton and Owen Sound. This is simply the start. We need to continue down the coast of Georgian Bay and around the South end up to Tobermory and Manitoulin Island and Kilarney. Once this is complete, we can document "hotspots" of biodiversity. These would be areas of extraordinary biodiversity that require protection. Step 2 (a) - Measure the quantity by area of all the aquatic species of Georgian Bay. Once the ecosystems are in the library, further analysis can be undertaken to use this DNA library by area to help determine the quantity of species. 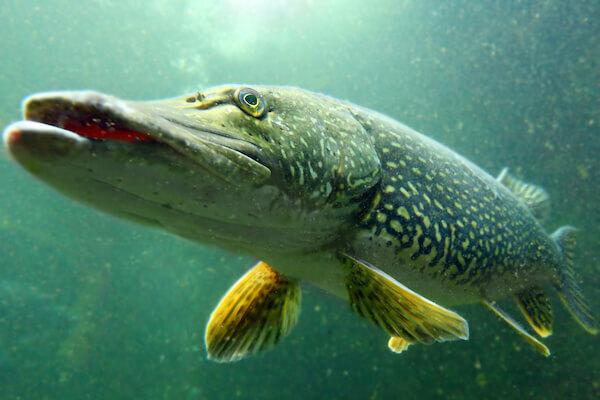 For example, do lake trout make up 20% of the aquatic species of a certain area of Georgian Bay? Step 2 (b) - Continue to combine numerous biotracers (stable isotopes, fatty acids, etc) and DNA techniques together to monitor and inform management decisions on certain ecosystem concern questions in certain areas to begin with, and ultimately to all of Georgian Bay. 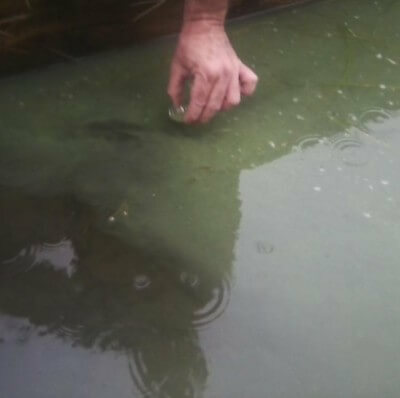 To see an example of these kind of actions on a smaller scale, please see the work we have supported on investigating the effects of open cage aquaculture or net pen aquaculture on the aquatic food web. Please go here for more information. We value your support. Currently we have spent about $50,000 on this project which requires $3.5 million. Please donate to Georgian Bay Forever to ensure projects like these continue. Georgian Bay Forever is a charity that funds and supports scientific research, restoration projects and education that protect and enhance the waters of Georgian Bay, as part of the Great Lakes. Our vision is that Georgian Bay waters are healthy and thriving for future generations. Learn more about how you can support out work. Thank-you to all the sources and references in this post. Note - We try to bring together information to help understand this process of species identification. We do use sources to provide information and visuals. We do our best to attribute properly and try very hard to get it right. If we have made an inadvertent mistake around recognizing someone’s work or misinterpreting the work, please let us know via email at communications and it will be corrected.